Spikeball Set is a fun, active and competitive 2-on-2 game played with rules that are similar to volleyball. Players of all ages can enjoy the game on grass, sand or indoors. It's suitable for use anywhere you want to get a good spike in. This 3-balls game has foldable legs that make the product easy to store and transport. Errant dives and falls happen, but these legs can take the abuse. 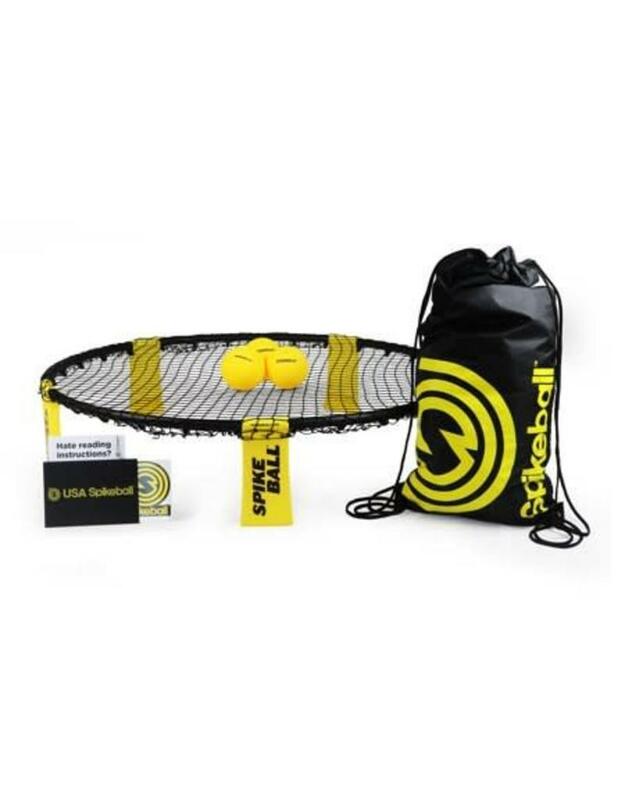 The foldable legs on the Spikeball Set help make it easy to store in a trunk, closet or garage. It's an ideal game to play in the backyard or to take with you to the park, beach, schoolyard, on vacation and more.